International and national football associations have autonomy to regulate the activities of their stakeholders, and in particular to create and enforce disciplinary rules to sanction infringements of such regulations. In such context, it is important to identify what constitutes a disciplinary infringement as well as the relevant judicial process that leads to the imposition of appropriate sanctions. Traditionally, the judicial bodies of the international and national football associations are competent to investigate and sanction - as the case may be - any infringement that occurs in the frame of a match or a competition which falls within their jurisdiction. However, their bodies may also be competent to sanction violations of the relevant regulatory framework for misconduct which falls outside the scope of a match or competition. The book has three sections. The first section reviews the disciplinary framework of FIFA and the regional Confederations (AFC, CAF, CONCACAF, CONMENBOL, OFC, UEFA) and identifies their jurisprudence. 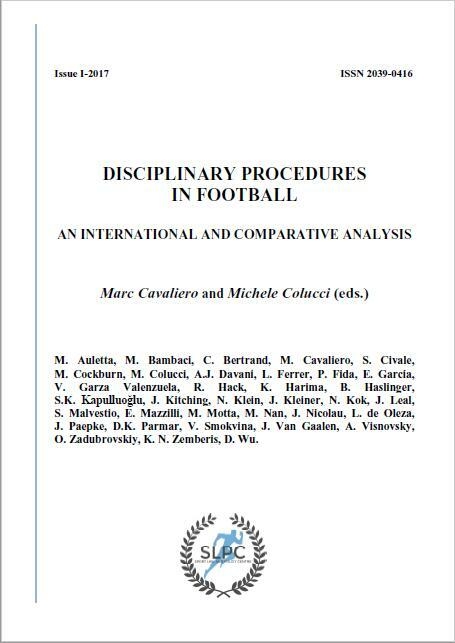 The second section covers disciplinary rules and procedures enacted by the leading national football associations. The third section undertakes a thorough, comparative analysis of the differences and peculiarities within these various systems. It concludes by highlighting the need for international harmonisation due to the interaction and discrepancies arising within the systems (particularly in relation to different punishments for the same infringements). This book is unique both in content and the participation of leading international experts in the field. Therefore, we wish to sincerely thank our trusted colleagues and friends who found the time to share with us their knowledge and experience. The CEU Cardinal Herrera University (Valencia) and Rex Sport, have launched an online master in international sports law. The new course is designed to provide the participants with the skills to develop a career in international sports law and is taught by practicioners from leading sport organizations, such as UEFA, FIFA, CAS, IOC, EPFL and ECA. 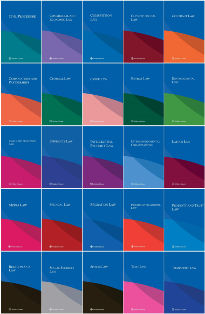 For further information about the INTERNATIONAL SPORTS LAW AND POLICY BULLETIN, please contact the Editorial Board at newsletter@sportslawandpolicycentre.com. If you have trouble reading this Newsletter, please click here to read it online.